If you are bored with your current kitchen design you can easily change the look of your kitchen by remodeling small parts such as the cabinets, staining the existing cabinets, or installing new kitchen furniture. Any combination of these can bring your kitchen a whole new look. Sometimes familiarity even with your home kitchen can breed contempt. You might like the theme in your kitchen but just want something new. Remodeling brings about excitement and anyone who has done it once will want to do it again. However, if you continue to remodel your kitchen you will go broke quickly but with small redesigns you can enjoy a new look whenever you want. 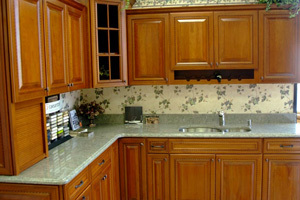 You can refinish your existing kitchen furniture if you are changing the look of your kitchen. This is a simple and inexpensive manner in which you can make a lasting impact and change in your kitchen. You can sand down existing kitchen furniture, cabinet doors, chairs, or your table, then paint them a new color or stain them a lighter or darker shades. This is particularly useful if you want to antique your furniture and make it appear older. To do this you can sand down your kitchen furniture, paint or stain them the color you want, allow them to dry, and then sand over the new color once. This process is simple and can change the entire look of the room. Changing your kitchen cabinets is another way to change the look of your kitchen. You can take off the cabinet doors for a while. Without having to reface your existing doors or purchase new ones, try going without cabinet doors for a while. Your kitchen will appear much more spacious as you keep it much cleaner. This is a great technique to try during the spring or summer. You can easily change the look of your kitchen when you change the existing light fixtures. Lighting is one of the most important components of your kitchen and yet it is an item which is often overlooked when people consider the design or remodel of their kitchen. If you have a ceiling fixture you can change it to a classic chandelier. 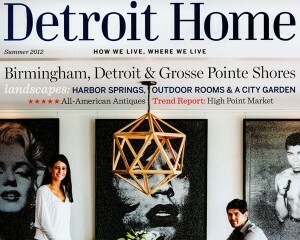 Conversely, if you already have a chandelier you can change it for a funky light fixture. If you want to go all out you can incorporate better lighting into a dim kitchen and you will see things you forgot were there. You can be very creative with minimal effort in your kitchen. Sometimes buying a simple stain, reversing the colors, or just using new wall paper, moving the furniture, or rearranging the cupboards can make your kitchen feel like new. Changing the look of your kitchen does not necessarily entail purchasing new items. At times it just means changing what you already have for the best. This is especially prudent if you are just bored with the current kitchen design as it saves you money. Whether you change the furnishing, kitchen cabinets, or light fixtures you can modernize a traditional kitchen, fit more into the small space you have, and enjoy a newly decorated kitchen. 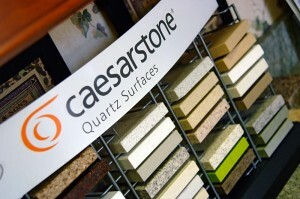 When you are remodeling your kitchen cabinets there are many options available. You can contact local suppliers to find out information about eco-friendly kitchen cabinets, inexpensive cabinets made from plywood, or custom made cabinets. If you want to remodel your kitchen you should begin with a plan. Plan the theme that you want for your kitchen remodel, including the kitchen cabinets and set a budget. By prepare a concept design, you can save yourself a lot of time and money dealing with a planner or a supplier. Your kitchen should be given special attention no matter what because it remains a popular location in which you entertain family or friends, or welcome guests into your home. When you begin planning your kitchen redesign, focus on the cabinets. Kitchen cabinets are a fantastic place to begin when you focus on renovations. You can incorporate modern kitchen cabinet designs which combine colors that crowd the kitchen. You can tactfully incorporate colors and kitchen cabinet materials to produce a fantastic kitchen remodel. Remodeling your kitchen cabinets can be done with a modern kitchen theme using stainless steel to cover every cabinet in lieu of wood. You can incorporate contemporary kitchen cabinets into your remodel by using light wood floors and cabinets painted white or crème to offset the light wood. This design can be complemented with black tile on the walls and granite countertops. One of the easiest and least expensive ways in which you can change the kitchen cabinets is to paint them. Whether you use a stain or paint you can completely change the look of your kitchen making it darker and more sensual, or lighter and more inviting. The next way you can remodel your kitchen cabinets is to install glass in the cabinet doors. Using a nice complementary frame, glass doors add a lovely sense of openness to your kitchen and make the room appear brighter and more spacious. You can also mix cabinet designs. You can make every other cabinet door a stained wood while the others are glass to add a nice sense of occasion to your kitchen cabinet design. Kitchen cabinet knobs, pulls, and handles can also add a lot to your kitchen remodel. Many people overlook things this simple, but realistically changing nothing but the handles or the knobs, or even changing handles to knobs or vice versa can add a great deal of change when you are remodeling your kitchen cabinets. You can incorporate many new items into an older kitchen in order to generate great changes or you can sand down existing cabinets to add a vintage look to your kitchen. 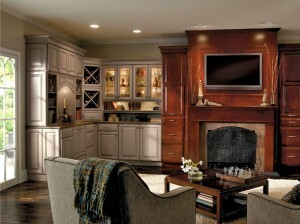 If you have new kitchen appliances made from stainless steel you can incorporate darker wood into the kitchen cabinets. 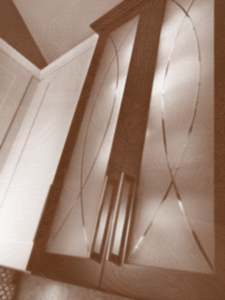 If you have dark wood flooring in your kitchen or dark countertops you can brighten the room with glass cabinet doors. No matter what you select, there are many themed options available which can combine the complementary characteristics of kitchen cabinets, handles, countertops, and floors.